Choosing only 10 things to see at the Victoria and Albert Museum is not an easy task, given the long list of works of art that can be found in this unusual museum. While for other museums – such as the British Museum – there are unique and unmissable items that can be found in everybody’s lists, in the case of the V&A (as the Victoria and Albert Museum is commonly called), every one has their own personal list. In fact, unlike other London museums, the Victoria and Albert Museum covers an extremely diverse range of arts. 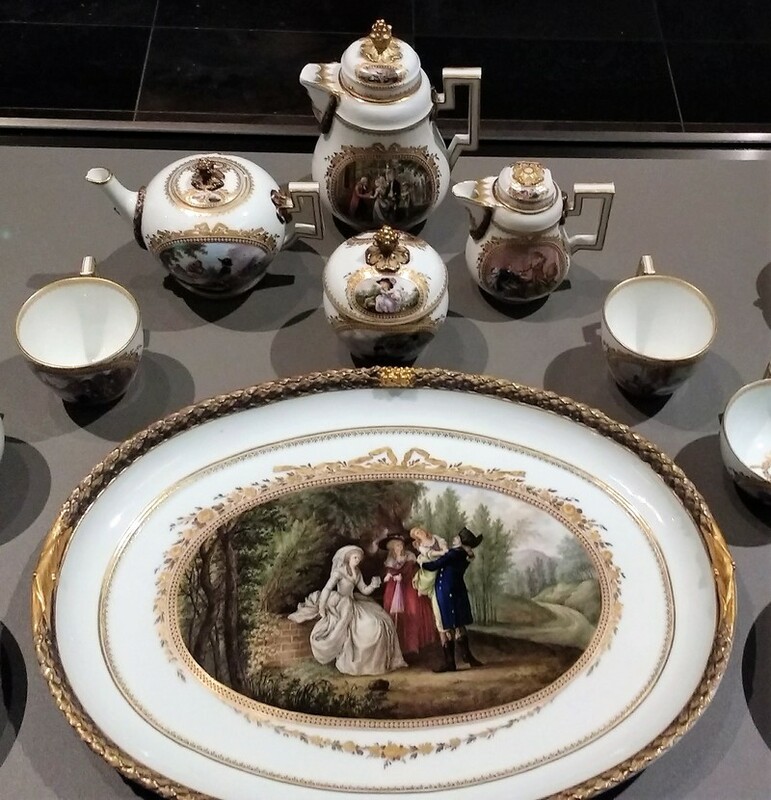 In the V&A we do not find only typical art objects such as paintings or sculptures, but also objects of everyday use, like furnishings or clothing and jewellery. In addition, works on display come from many different countries so you can easily imagine how difficult it is to select a list that represents the V&A well. How does the V&A have such an extensive assortment? The V&A was opened in 1852, at a time when London was in every sense the geographic and political centre of the world. The enormous success of the Universal Exhibition which was held the previous year had pushed Prince Albert to create a sort of permanent exhibition of art objects, so that people could admire them in a unique context for ever. This is how the V&A was created and – as a result – it became not just a thematic museum, but rather a wonderful container of objects. And the building itself can also be considered a true architectural wonder. It is difficult to find another museum that can be compared to V&A, with its maze of halls and galleries, its collection of art and design. To enjoy it fully, the V&A deserves to be seen more than once, in order to familiarize yourself with the difficult distribution of its masterpieces. But not everyone has the chance to do so, therefore a list of things to see at the V&A can be even more useful here than in any other London museum. My list can only reflect my personal tastes, but I hope that it will also be useful to discover one of the most fascinating museums in London. Usually, in museums all over the world one can find unique artwork, but rarely fine reproductions of masterpieces. In the Cast Courts we find casts and plaster reproductions of some famous sculptures. 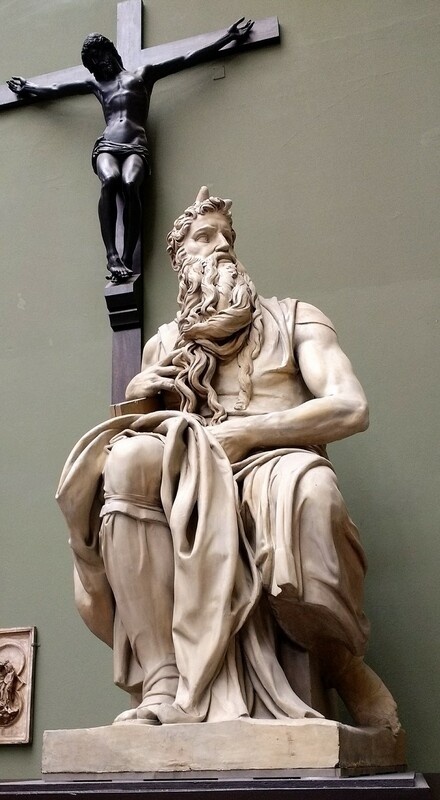 Entering the first room, it would be quite strange – especially for Italian visitors – to find the gigantic reproduction of Michelangelo’s David or the Moses, that we can usually admire in Florence and Rome. 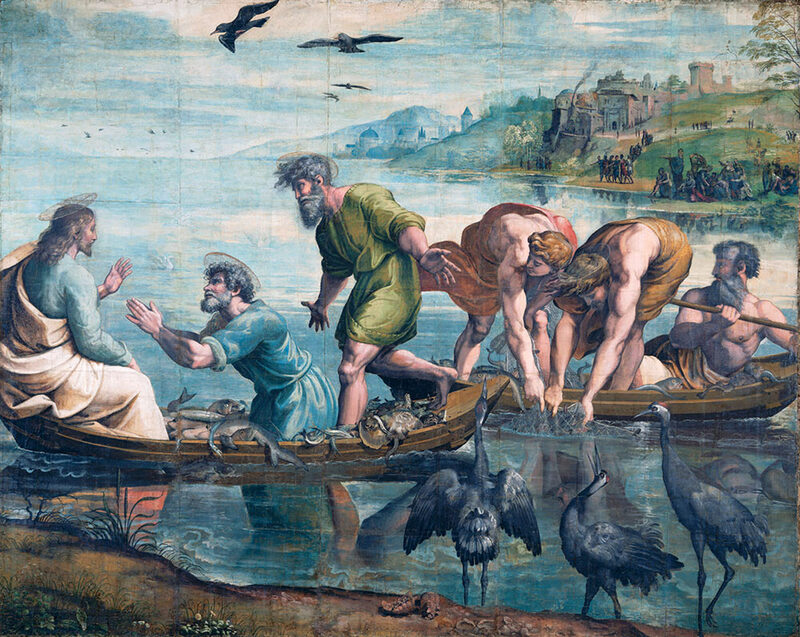 The reason for this choice was to offer all visitors the opportunity to admire these masterpieces without having to undertake very expensive travels for the time. In practice, the Cast Courts of the V&A are like a three-dimensional art history book. 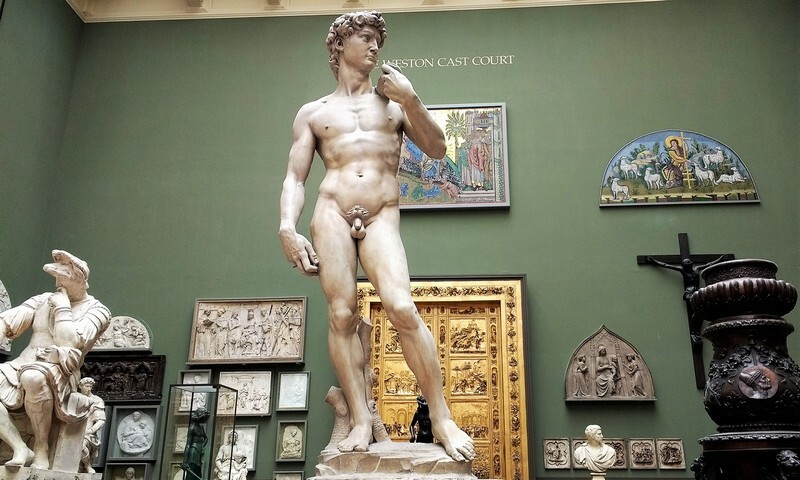 Of course, original masterpieces of incredible beauty can also be found in the V&A and sculptures occupy a very important place in the museum. 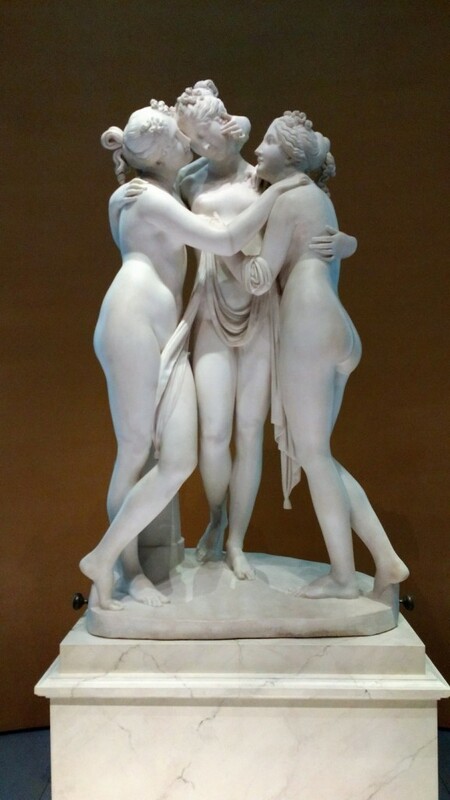 My favourite is the splendid sculpture of Antonio Canova’s three graces. The beauty of this pieace of art is simply amazing and one cannot miss to note the exquisite ability of the Italian sculptor. If you like sculptures, also Auguste Rodin’s work is certainly not to be missed. The 18 Rodin’s sculpture were a personal gift of Rodin to the V&A made in 1914 to honour the French and British soldiers fighting in the First World War. Do you love London? Do you love painting? 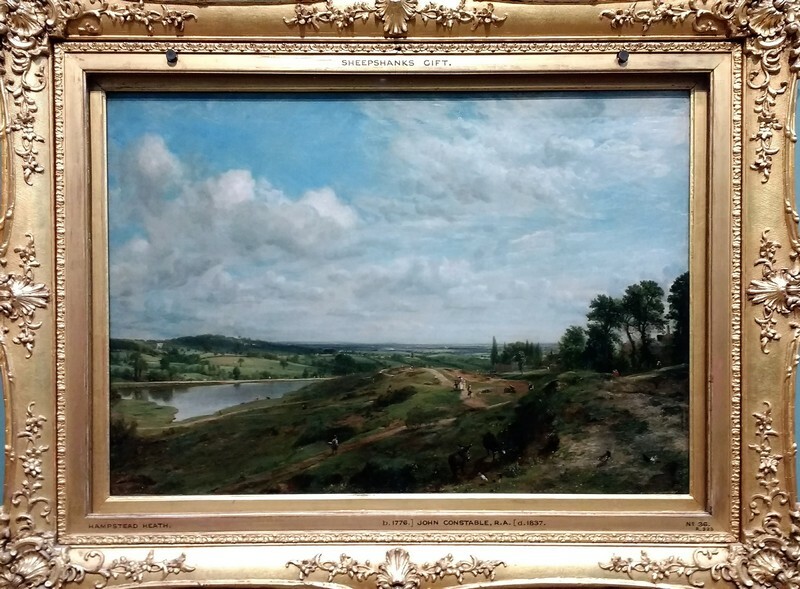 Then, you cannot miss Constable beautiful landscapes of Hampstead. In the nineteenth century, Hampstead was a true corner of unspoilt nature just a stone’s throw from the city’s chaos. A painter like Constable, so sensitive to the beauty of Nature, could not fail to grasp Hampstead in all its splendor. During your stay in London I recommend – if you have time – to make a trip to Hampstead Heath. Things have changed since Constable’s time, but Hampstead is still a natural gem at a short distance from the Big Smoke. 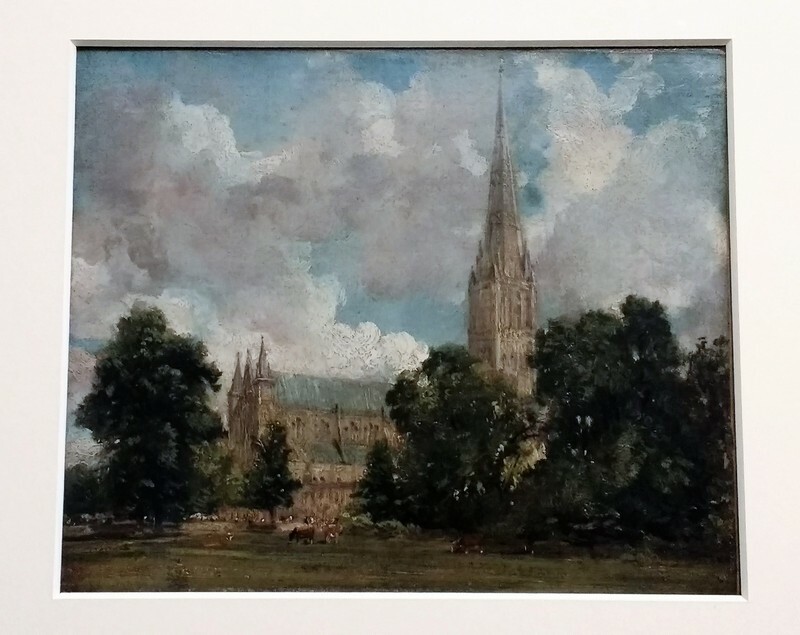 In addition to the Hampstead paintings, at the V&A you will also find other famous Constable landscapes, such as the Salisbury Cathedral, and preliminary works and sketches for famous paintings, such as the Hay Wain The finished work can be admired at the National Gallery, and of course is in my list of paintings not to be missed at the National Gallery. 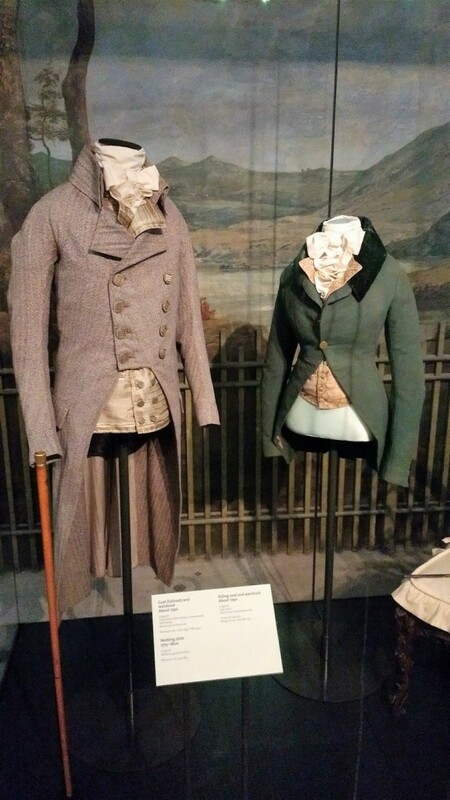 Fashion has always been at the centre of the attention of the V&A curators, and there are frequent special exhibitions related to the world of fashion. 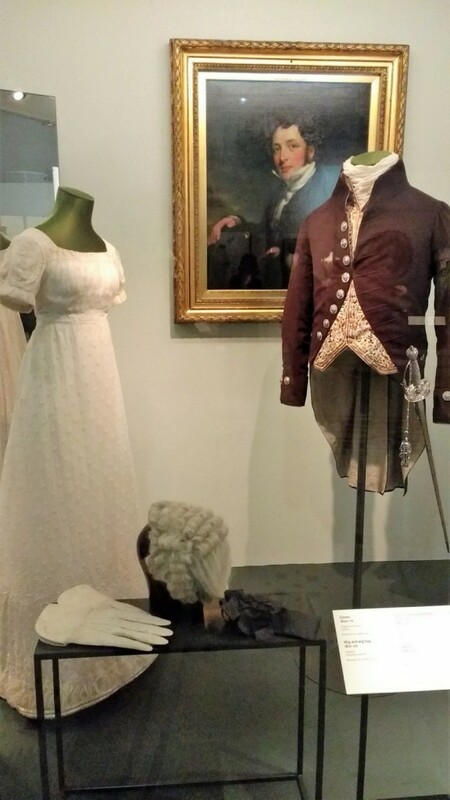 The fashion gallery at the V&A shows dresses from the early ‘700s up to our modern days: a real story of the evolution of our way of dressing over time. Can you Identify one of the official dresses used by Margareth Thatcher? 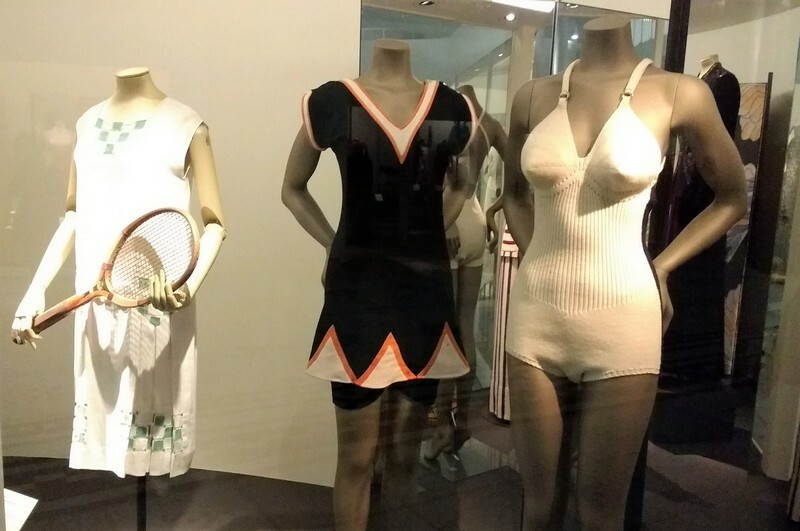 All styles of the 20th Century are represented too, from the twenties to punk. What’s your favorite style? Undoubtedly, this wood sculpture is one of the most famous pieces displayed at the Victoria and Albert Museum. The whole collection of works from Asia is extremely rich, but if we only have to choose one, I think Tipoo’s Tiger is one of those things to see absolutely at Victoria and Albert Museum. A bit macabre perhaps, with the tiger mauling an unfortunate soldier, but definitely suggestive and a must-see. Inside the wooden object there is an organ that can be operated by turning a handle. This also makes arms of the soldier move. 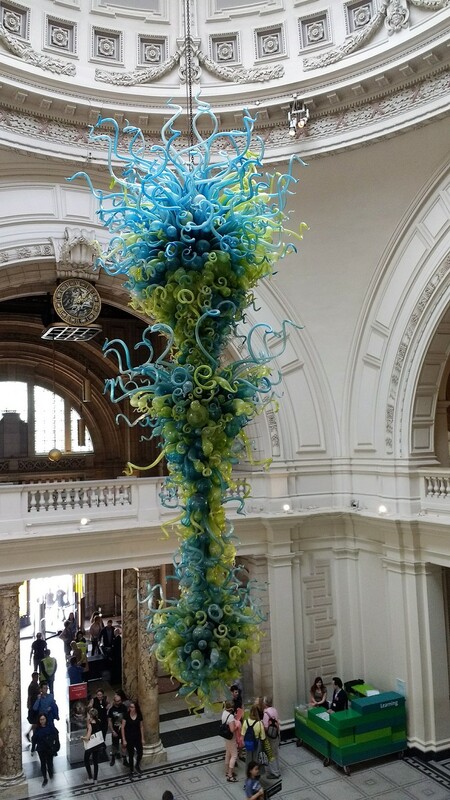 If you enter the V&A from the main entrance of Cromwell Road, in the lobby, right above the information desk, you can admire the incredible Chihuly blown glass chandelier. A real wonder. A little advice: upstairs, from the balcony you can admire it from above and see details even closer. Visiting some of the V&A’s galleries is like time travelling. Some rooms have been re-created as they were, displaying not only works of art such as paintings and sculptures, but also objects of more everyday use, such as clothes, furniture, and tableware sets .This makes the galleries really interesting, because we can see how houses were furnished and lived. A particularly important place in a design museum such as the V&A is occupied by furniture making. Surely Chippendale is among the designers who brought the art of furniture to a higher level. If you are fond of old furniture, you will have the opportunity to admire true masterpieces. Including a cafe among the 10 things to see at the Victoria and Albert Museum might seem an unusual choice, but in this case I think you will appreciate my advice. 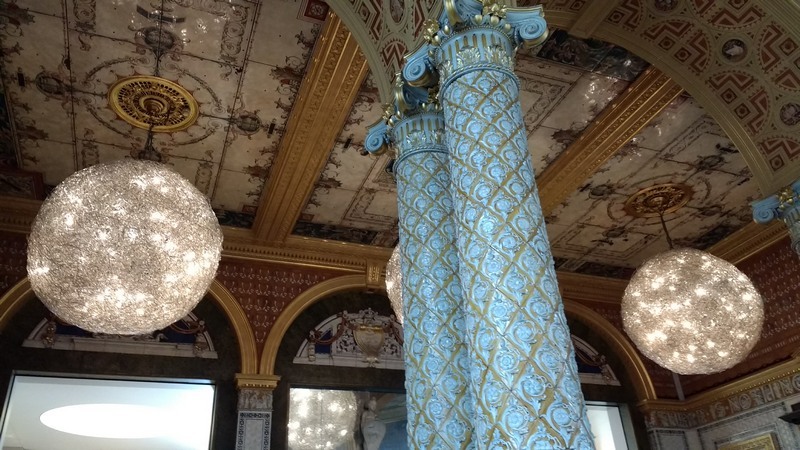 The V&A cafe is really unmissable, for the beauty of its rooms. You can choose the central room, the largest one, with its elegantly decorated ceilings, columns and gigantic chandeliers, or opt for the quieter intimacy of the side lounge: savoring a delicious cake in this unique setting will make your visit at the V&A even more enjoyable . Our list could include other masterpieces, but I’m sure the unusual layout of V&A will “force you” to pass through other galleries full of interesting piece of arts, and you will be able to admire many more things than I have suggested on my list. At V&A you can do a real treasure hunt that will make you to visit the museum in a most unusual way. The mysterious messages with the clues will be sent to your mobile phone. Decipher the message and find where the answers are hidden. Just send an SMS with your answer to receive the next clue and continue with the treasure hunt. It’s a great idea that was launched by the team behind Breadcrumbs.It’s a great way to see the museum, especially if you are with a group of friends. You can find more information on this treasure hunt and many others on the Breadcrumbs website. The entrance to the V&A is free and the museum is open every day from 10am to 6pm. On Friday the museum is open until 10pm, a great idea to spend an unusual evening. 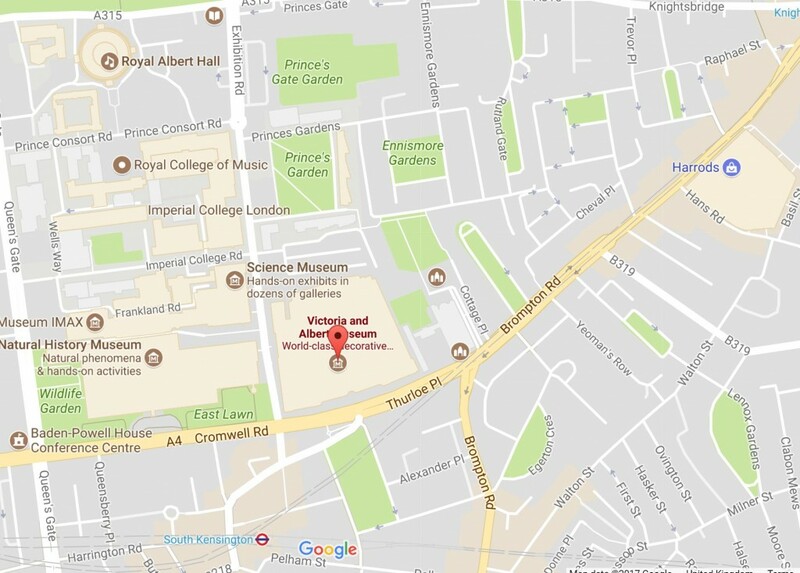 The V&A is at a short walking distance from the South Kensington tube station. If you love the London red buses – in my opinion the best way to see London – you can get to V&A from Piccadilly with the Bus n.14 or with the 414 from Marble Arch or the C1 from Victoria. Travelling by bus is cheap and coomfortable way to see London. The V&A is located in the South Kensington Museum Area. Just in front of the V&A, on Exhibition Road, you can also see the Natural History Museum and the Science Museum, both very beautiful and appreciated especially by children. Hyde Park with the Albert Memorial and the Royal Albert Hall are a short walk away. Also within walking distance on Brompton Road you can find famous Harrod’s. My advice is to eat something in the Museum cafe: the cakes are delicious. Of course the cost is a little bit more than in a chain cafe like Costa or Caffe Nero, but considering that the entrance to the Museum is free, that little extra is more than justified. Within easy reach on Brompton Road – walking toward Harrods – you will find the Bunch of Grapes pub (3.9 / 5 the vote on Google Reviews) if you fancy a classic pub lunch. Near South Kensington underground station, the choice of restaurants is very wide. A nice pub in the area is ‘The Zetland Arms’ on Old Brompton Road – Bude street corner – (3.6 / 5 on Google). On Old Brompton Road you can also find one of Franco Manca’s pizzerias, which imho is one of the best pizzas in London (see the blog post dedicated to the subject). The problem with Franco Manca in South Ken is that it is quite small and does not take reservations. Trying to eat there at peak times can be a bit difficult if you are more than 3 or 4 people. But the Pizza is great and incredibly good priced for London. If your are planning to spend the night in central London, you could read our short guide to affordable restaurants in London and get some inspiration. If you do have more ideas or suggestions, do not forget to leave your comments below. Enjoy the V&A!